Yesterday we were pleased to announce in our monthly newsletter the release of our PrevCon App for the iPhone and iPad. 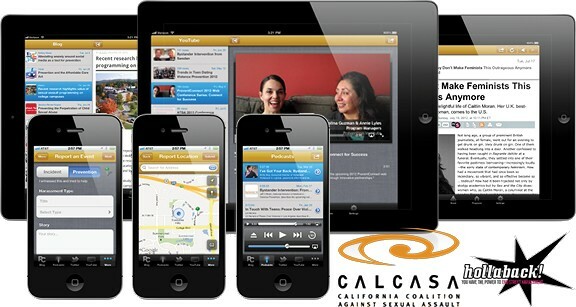 This App was developed for CALCASA’s PreventConnect Program by Rade | Eccles, an experienced iOS app development team specializing in high quality native applications targeting the iPhone, iPad, and iPod Touch devices. The App also represents CALCASA’s first partnership with Hollaback!, a movement to end street harassment powered by local activists in 54 cities, 19 countries, and in 12 different languages around the world. CALCASA is leveraging Hollaback’s capacity to capture stories of street harassment and bystander intervention to tell similar stories from the PreventConnect community. Check-out our App in the Apple Store today! Available for iPhone and iPad.